Has it been a while since you left social work? Maybe you had a career break or perhaps you left to care for your own family. Whatever the reason you left, we can help you get back into social work. You know what it takes to be a great social worker. After all, you used to be one. You also know that a social worker can improve the lives of the most vulnerable people in our communities. Getting back into the profession after a period away from work can be tough but with the right support, you can regain the confidence, experience and knowledge you need to get back to making a real difference to people who need it most. And with our help, you can get started today. The Return to Social Work programme offers free training to prepare 100 former social workers to return to their careers in London, the West Midlands and the East of England. Comprising 12 weeks of high quality training with hands-on work placements, this unique opportunity provides candidates with comprehensive coaching and mentoring, including dedicated interview preparation once they are registered and ready to re-enter social work. We know that social work is a challenge, but that those who return are benefitting from practical changes that better support them, such as opportunities for personal development training, more manageable caseloads and flexible working. Qualified social workers with a minimum of two years' experience (and not out of the field for more than five) with a right to work in the UK may be eligible for the programme. 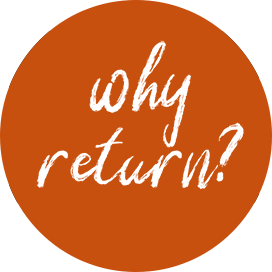 Returning couldn’t be simpler. In no time at all, you could find yourself back making a genuine difference to people’s lives. Social work isn’t just a career, it’s your career. Join us now, and let’s make a better future for those who need us. Thank you for your interest in the Return to Social Work programme. Applications have now closed. If you are a council or a candidate wishing to take part in a future programme please get in touch to register your interest.